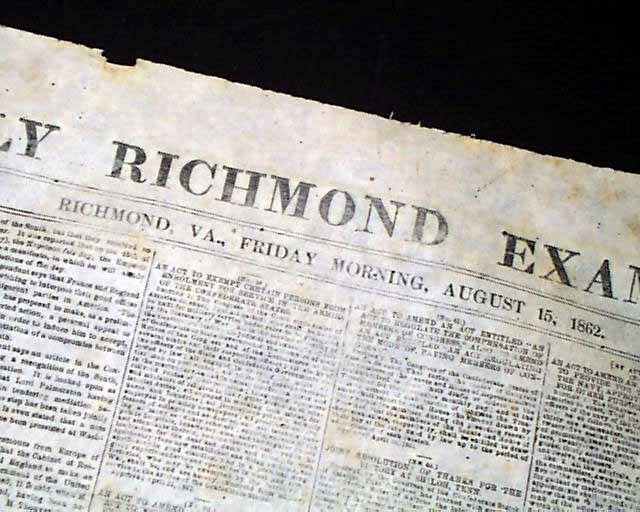 DAILY RICHMOND EXAMINER, Virginia, Aug. 15, 1862 A nice newspaper from the capital of the Confederacy, with war reports from the Confederate perspective. 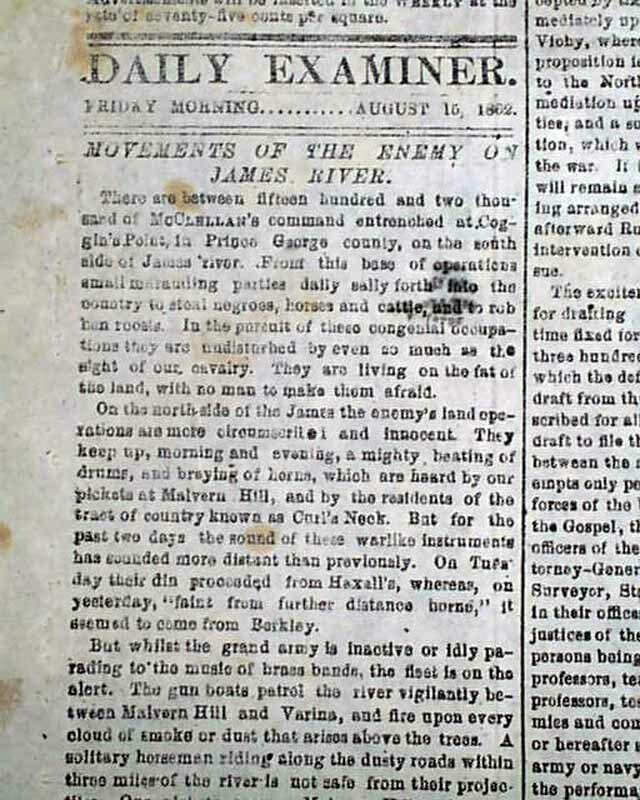 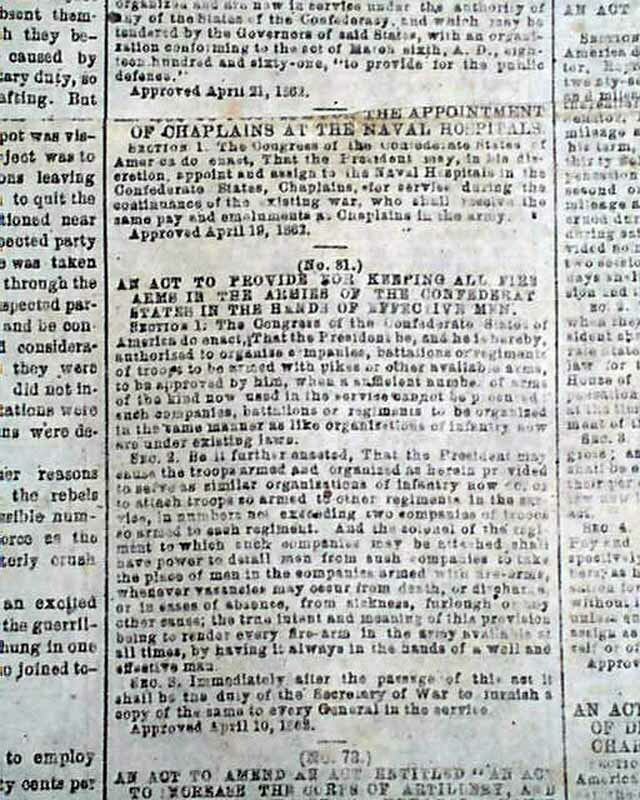 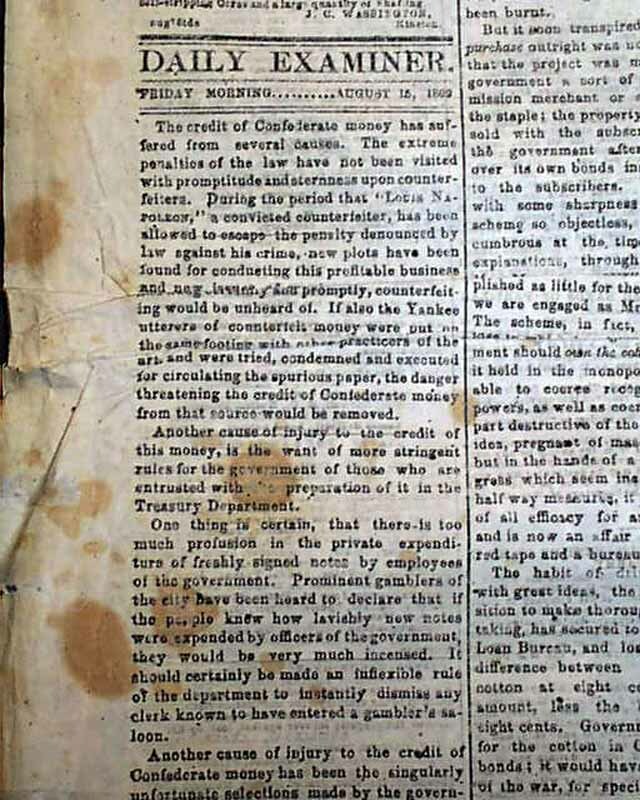 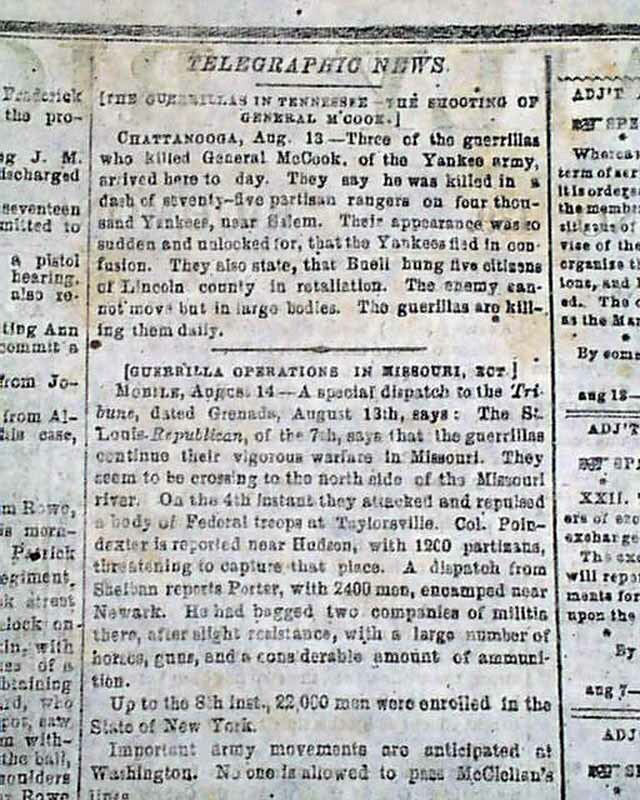 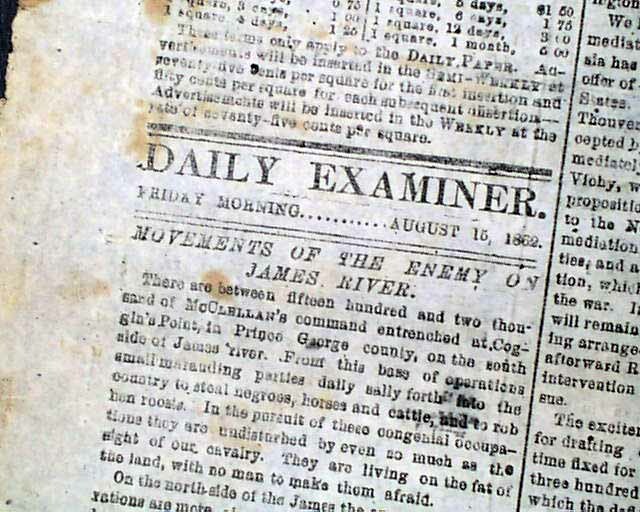 The front page includes: "Movements of the Enemy On James River" "From Gordonsville" 'From Yorktown" "Summary Of News". 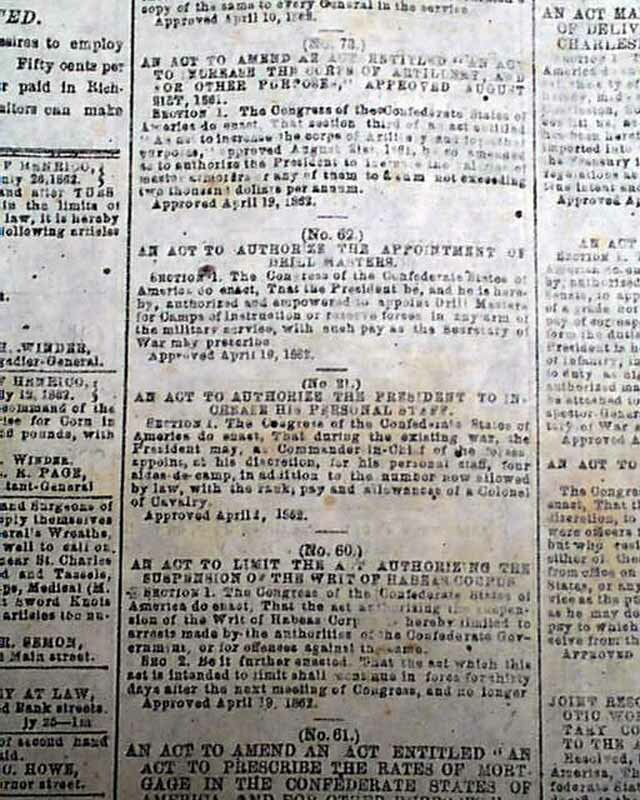 There are also many Acts from the Confederate Congress, most relating to the Civil War. 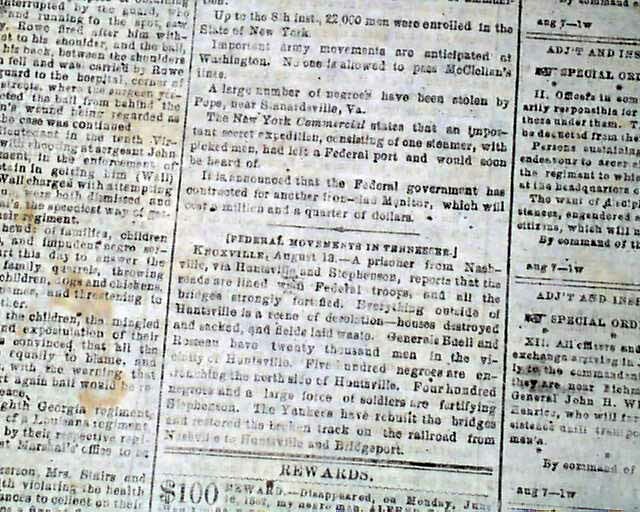 The back page has a lengthy editorial touching on several topics, but mostly on the financial situation of the Confederacy. 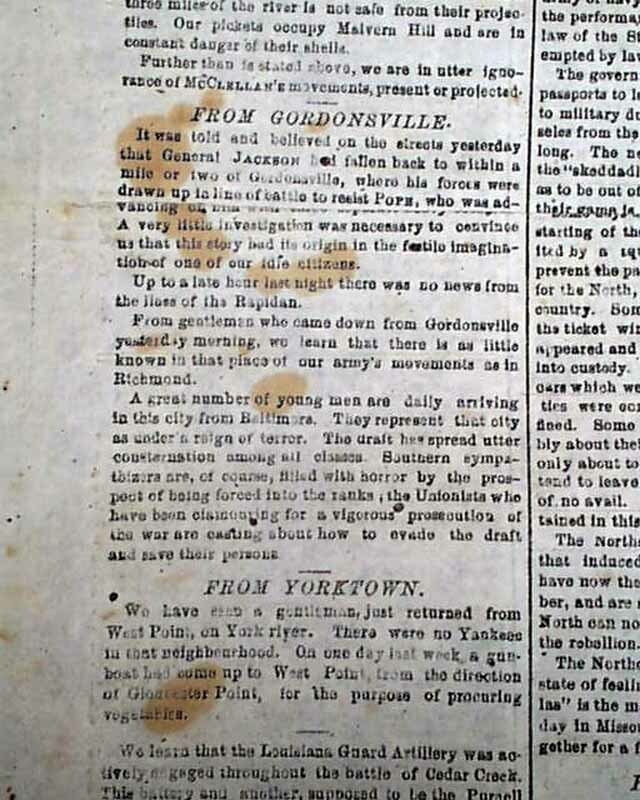 Also on the bkpg. 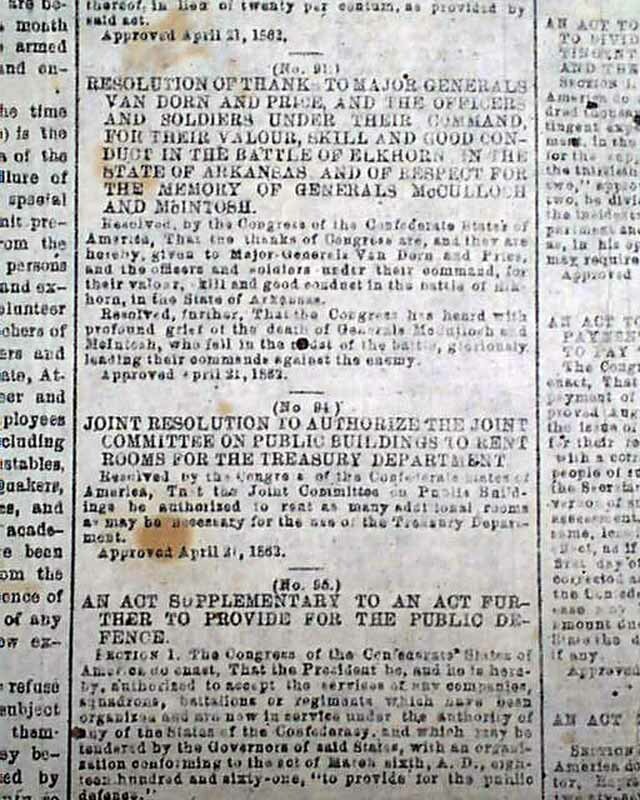 are: "Telegraphic News" "Guerrilla Operations in Missouri" "Federal Movements in Tennessee" "City Intelligence" and many advertisements. 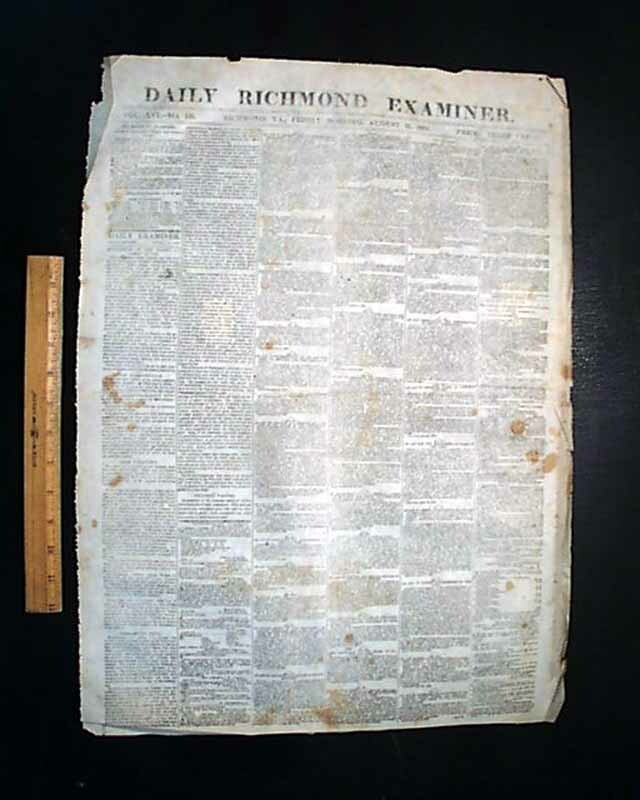 Complete as a single sheet newspaper with a full banner masthead, several creases and some foxing. 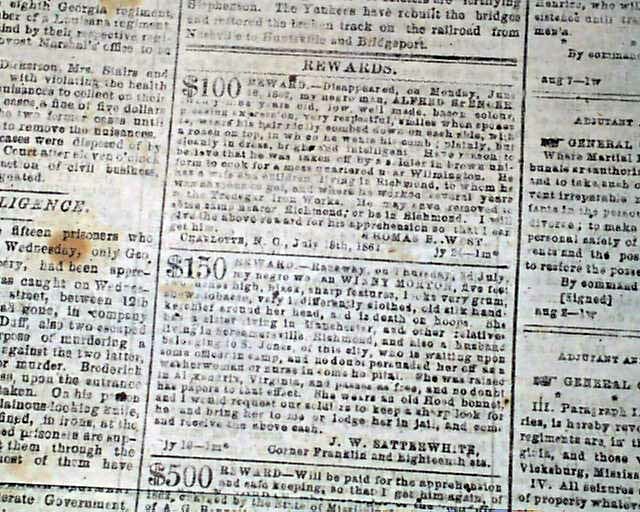 Generally nice condition.